There’s often a new kid on the block to buck the trend and raise standards (and prices!). 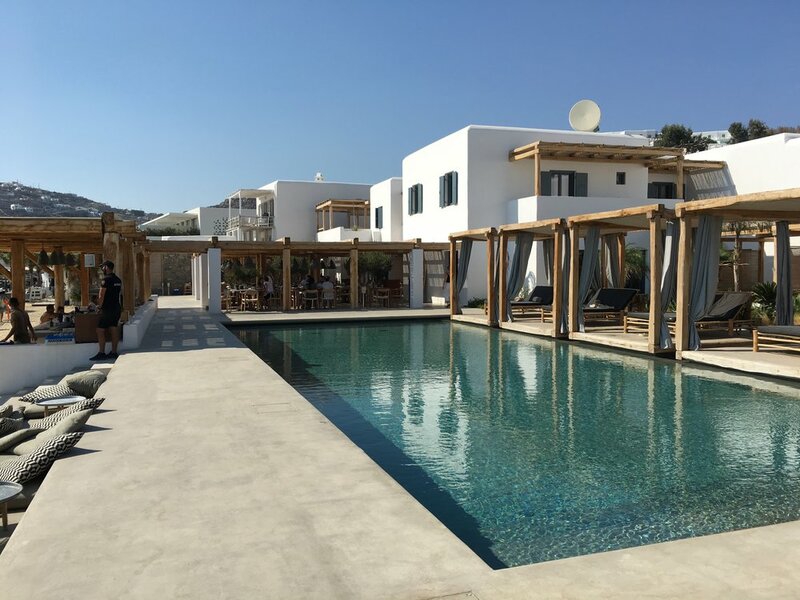 In this case, celebrating the end of its first full season is Branco, a great new beach front hotel, nestling at the eastern end of Platis Gialos Beach in Mykonos. 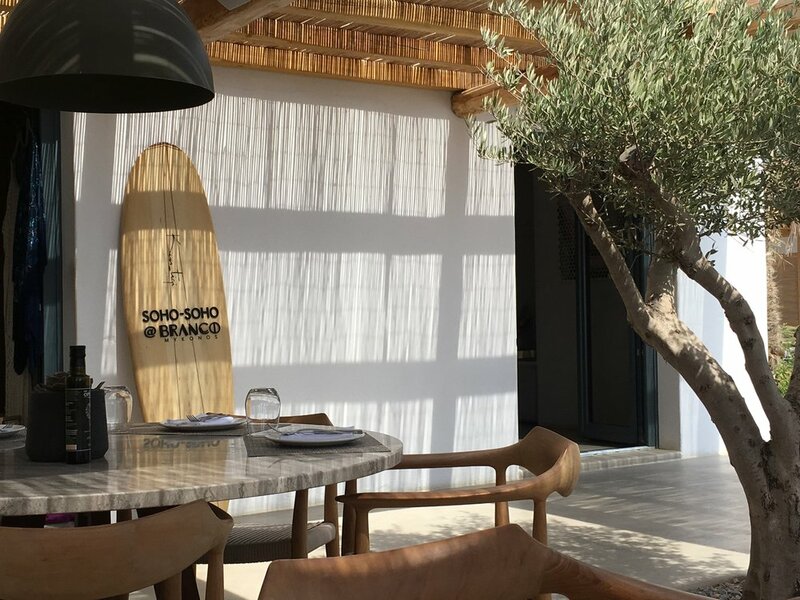 Along side its neighbour Scorpios Mykonos, Branco is part of ‘new’ Mykonos for a fresh generation of the global super set. It may be a little expensive to stay in, but there is no harm in checking out its restaurant for lunch (dinner very quiet there) and the beach club, bar and beach spa. Celebrity chef (in the best possible sense) Athinagoras Kostakos has created a real gem of a place for lunch - complimented by the chilled sounds from the resident beach DJ. Scorpios, a ten minute walk down the road from Branco, also represents a significant addition to the Mykonos scene. Its a fusion - authentically Mykonos, beautifully styled, great architecture, and again sporting a menu by Kotstakos the ‘Chef of Cyclades’. We might love the age old Mykonos of Sea Satin Market (still in tact and as you remember it), but the island has certainly risen to the beat of the 21st century too.